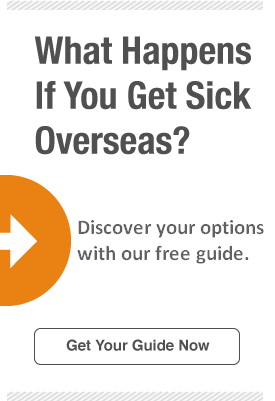 Figuring out the application process for a J-1 visa can be challenging, so HCC Medical Insurance Services (“HCCMIS”) created this easy, five-step checklist to help you as you explore opportunities abroad. If you are considering working and studying in the United States, the J-1 visa might be right for you. Issued by the United States to promote cultural exchange, J-1 visas are short-term, non-immigrant visas for international visitors enrolled in work-and-study-based exchange programs. Another option is the F-1 visa, which is for those who wish to study on a longer-term basis and receive a degree from an American institution. If that describes your situation, visit our F-1 Visa page. Want to gain work experience in the U.S.
…then a J-1 visa is right for you. There are 14 distinct programs. Decide which one best applies to you. For descriptions of each program, visit https://j1visa.state.gov/programs. After choosing a program, your next step is to find a certified sponsor. To apply for a J-1 visa, you must first be accepted by a certified exchange visitor program sponsor. Each sponsor offers slightly different services, so be sure to explore your options to find the best one for your specific program. All certified sponsors are listed on the government J-1 Visa page. Once you have decided on a sponsor, begin the application process for that specific program. Your sponsor will help you with the required forms and interviews. HCCMIS can help you with travel medical insurance. HCCMIS offers travel medical insurance options that meet all J-1 visa requirements. HCCMIS plans also include coverage for many sports activities without any additional costs. When you get travel medical insurance to meet J-1 visa requirements, you also get peace of mind knowing you will save on out-of-pocket medical expenses.